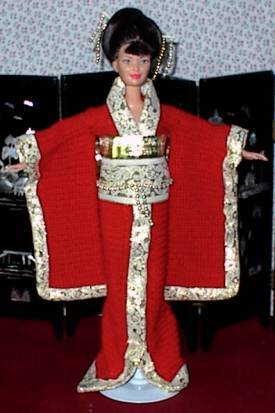 Comes with kimono, obi, socks, hair ornaments, doll and doll stand. This is my own design. 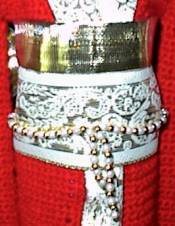 Done in red with cream and gold accents around sleeves and edge. 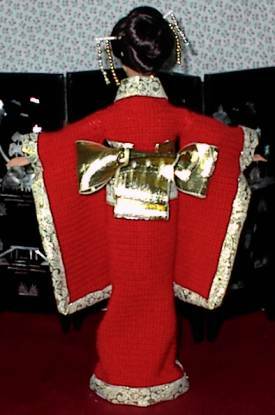 There is a gold bow on back of obi.